Hope everyone's good and you've had a great summer. 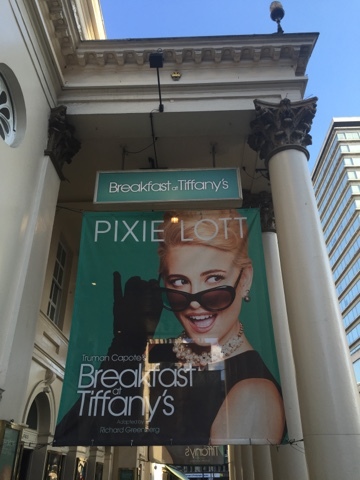 So last night was one Id been looking forward to for a while where I managed to catch the brilliant Breakfast at Tiffanys currently playing at the Theatre Royal in Haymarket a few minutes walk from Piccadilly. For those who haven't been to the Theatre Royal it's one to have a closer look at for the decor, It's all very new, clean, has amazing space between the seats and also for the hot weather to my surprise air con. The staff in the theatre were lovely and very helpful which was great to see. I'd read a few reviews before coming to the show and was really looking forward to it. The show itself was very good, I picked up the story quickly and really thought the stage sets and costumes were both really good. 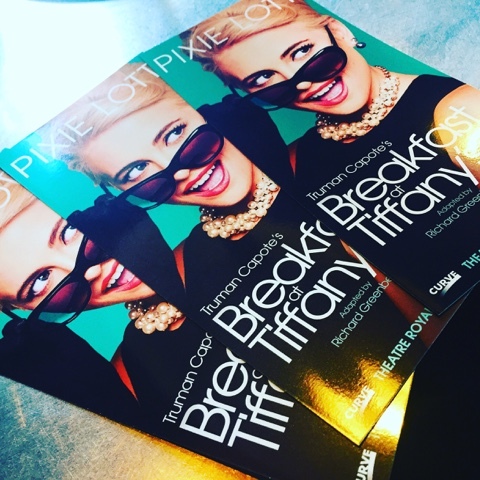 The cast I thought were very good from the start, Pixie and Matt were both well suited to their roles. My only negative from the show was I couldn't hear the female voices properly from where I was in the Royal circle. It didn't put me off the show though. The view also from the Royal circle was perfect and very clear. The show is running until the 17th September in London. If your a fan of the story it's worth going to see on the stage. I wish I'd managed to see it earlier in the run then had a chance to read the book and see the show again to see it from a different view. After leaving the show I did order the book so I can read more of the story which I'm looking forward to now.